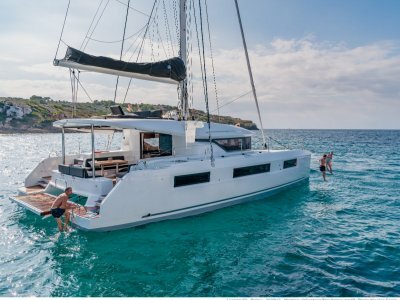 Latest release from the world leaders in catamaran production. 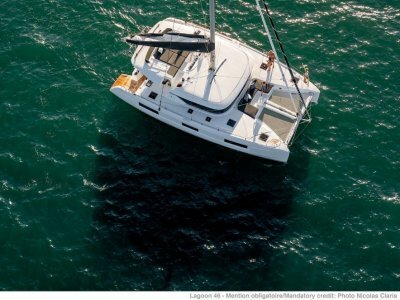 The new Lagoon 450 Sportop is a wonderful combination of power, beauty and refinement. 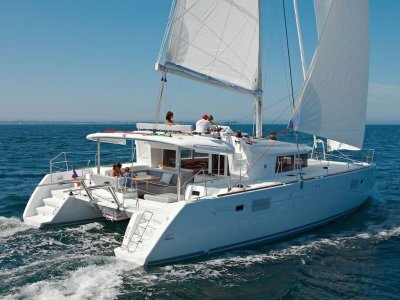 The VPLP team have delivered sleek lines and effortless elegance in this single level living catamaran. 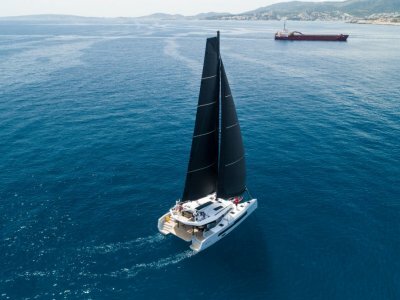 A lower rig reduces pitching and provides better access to the boom, yet the mainsail area is maintained. You'll really appreciate the direct access between the cockpit and the steering station - from where an uninterrupted panorama provides excellent visibility. The all new steering station allows you the freedom to stay in control even when you're short handed. 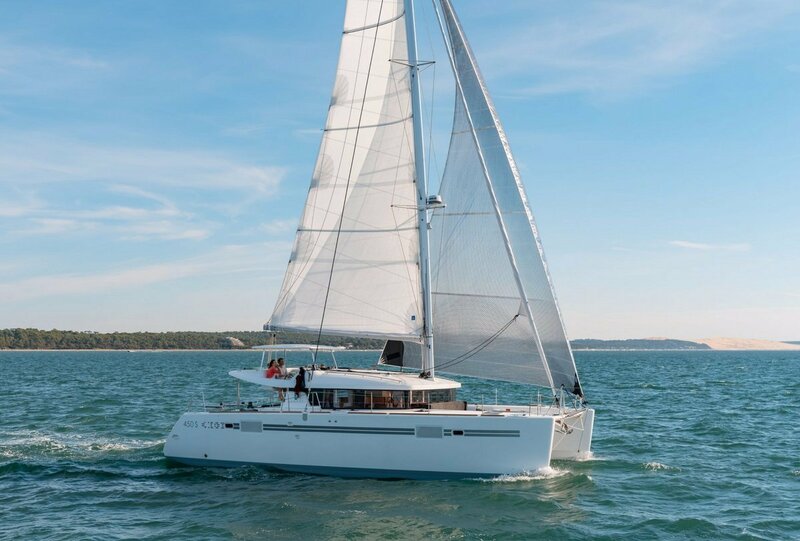 Sheets, lines and winches are all within easy reach A new saloon layout features a fully equipped "U shape" wide ergonomic galley plus a redesigned chart table. Communication between the saloon and cockpit is also optimised. With class leading volume, light and ventilation this is a joy to be aboard. New forward cabins in both 3 and 4 cabin versions boast comfortable semi-island beds.